Springfield Gardens High School served 419 students in grades 9-12. The student:teacher ratio of 42:1 was higher than the New York state level of 14:1. 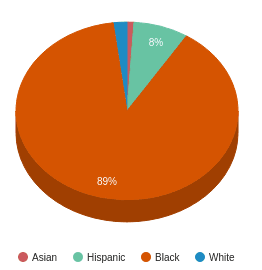 Minority enrollment was 98% of the student body (majority Black), which was higher than the New York state average of 56%.